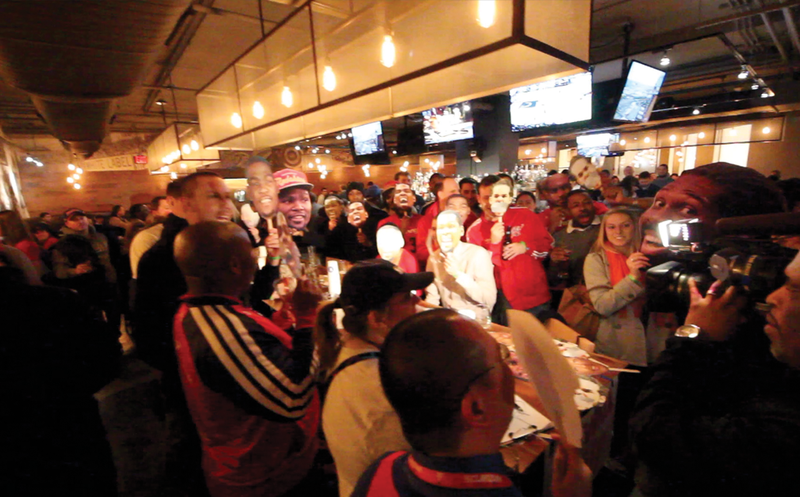 Wednesday night was one of the biggest nights in DC Sports history. Both the Capitals and the Wizards had 2nd round games, the Caps an elimination game 7 against the Rangers and the Wiz a chance to take a 3-2 lead in game 5 against the Hawks. 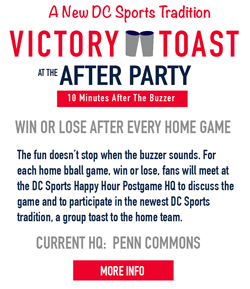 Typically, anywhere you go in the DC area will be all about the Caps (read my struggle to get the Wiz audio), but we threw around our Wiz Happy Hour gusto and found a place that would do something really awesome for us. On one side of the bar (Greene Turtle Arlington) there would be Caps audio, and on the other side there was Wizards audio. Here's how it turned out (Event Photos). Most of the crew were there because they were Wizards fans. 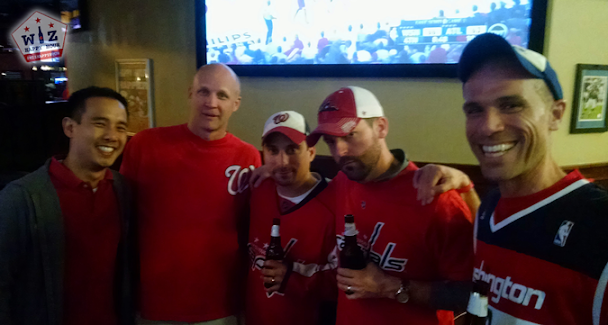 However 90% of us were also Caps fans, so it was fun to run back and forth from both sides of the bar during commercial breaks. The day started out with our first Nats Happy Hour and we just finished watching Mike Taylor hit a game winning grand slam for the Nationals. For the first hour of the event we had power hour which had $5 Dogfish Head 90 Minute IPAs and awesome food specials. It was a great way to get the party going. 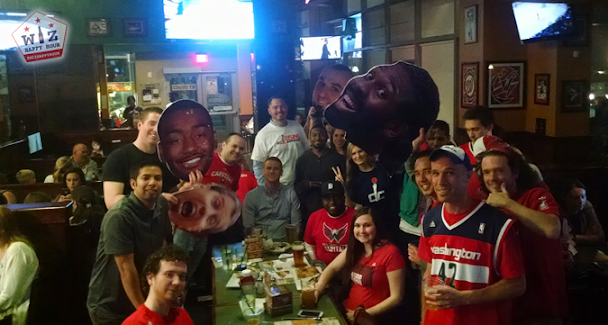 The Wizards section was much rowdier and louder than the Caps section (because that was just reg fans, not Caps Happy Hour peeps and because the Caps fans were on edge about the history of game 7s), but that is one of the fun parts about our happy hour crews. We live and die on every play and we let everyone around us know how we are feeling. There were lots of chants, fist pumps and high fives, and as Paul Pierce sank the go ahead 3 pointer bedlam took over. 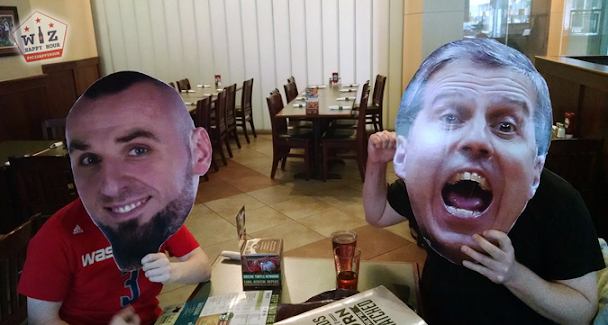 People were hugging, running circles around the table, and losing their minds...and seconds later...silence. Once the Wiz lost things got worse...soon enough the Caps were eliminated from the playoffs by an OT goal...DC Sports Sadness reigned. While it was a rough blow to lose at the buzzer we are confident that the Wiz still have a chance! 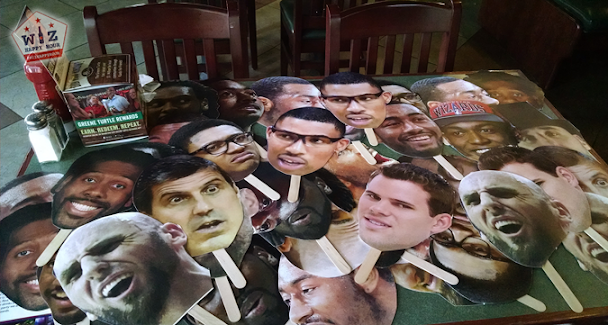 Hope to see you at our pregame happy hour before game 6 on Friday!